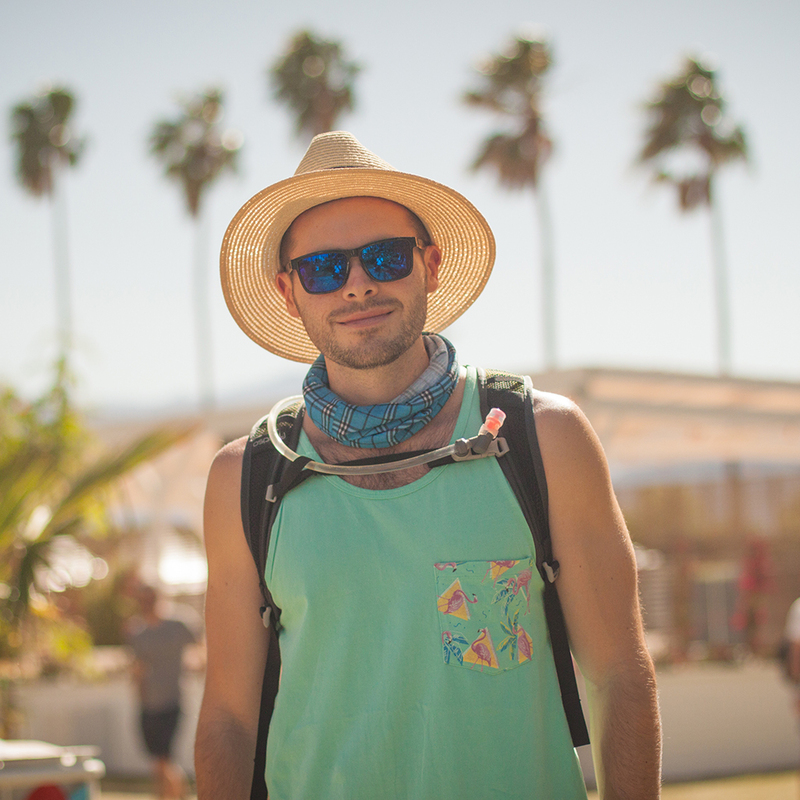 From floppy hats and crop tops to overalls and bandanas, you must come prepared for the fashion scene in the middle of the desert at Coachella. 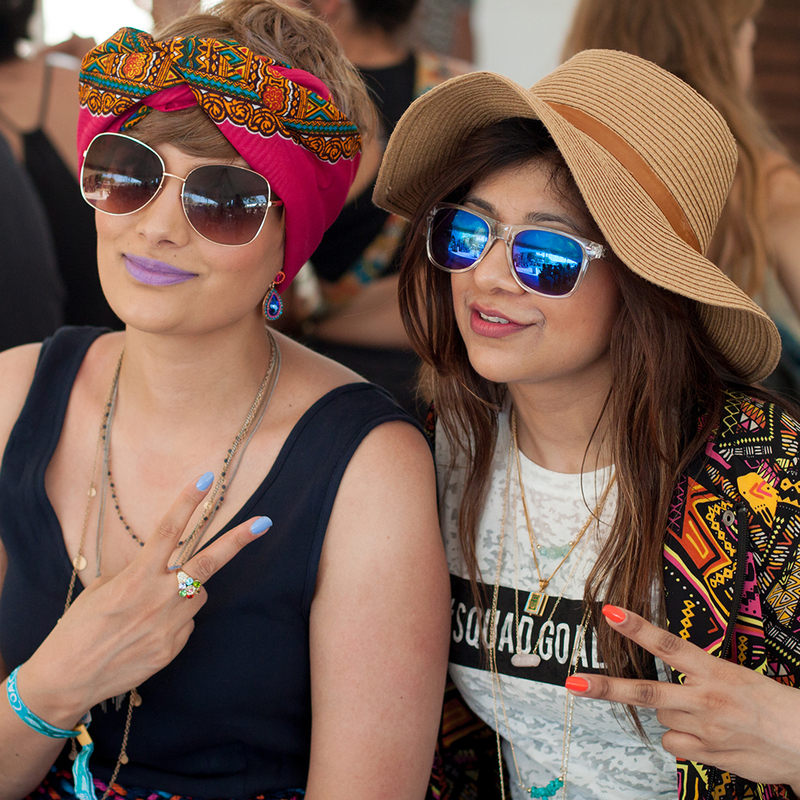 Pack your leather messenger bag and stack your wrists with bracelets— here is a look at the fashion from Coachella. 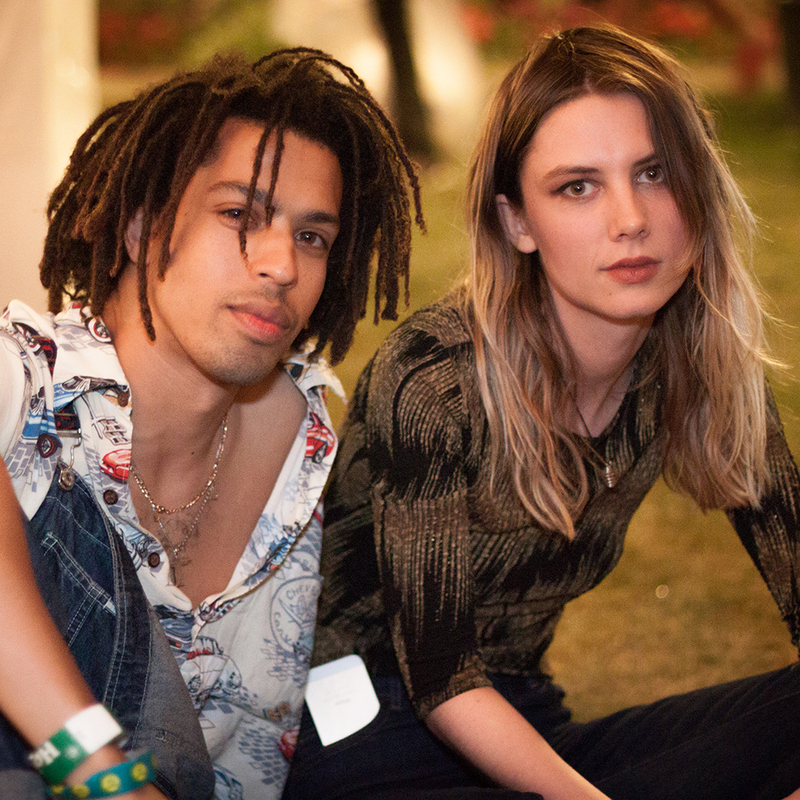 The venerable Canadian Tuxedo, now ala Coachella. Denim on denim with embellishments and embroidery. Distressed overalls, graphic T, and wooden framed sunglasses. Enjoying a drink on the porch of the new Houston Brothers festival establishment, The Cabin. 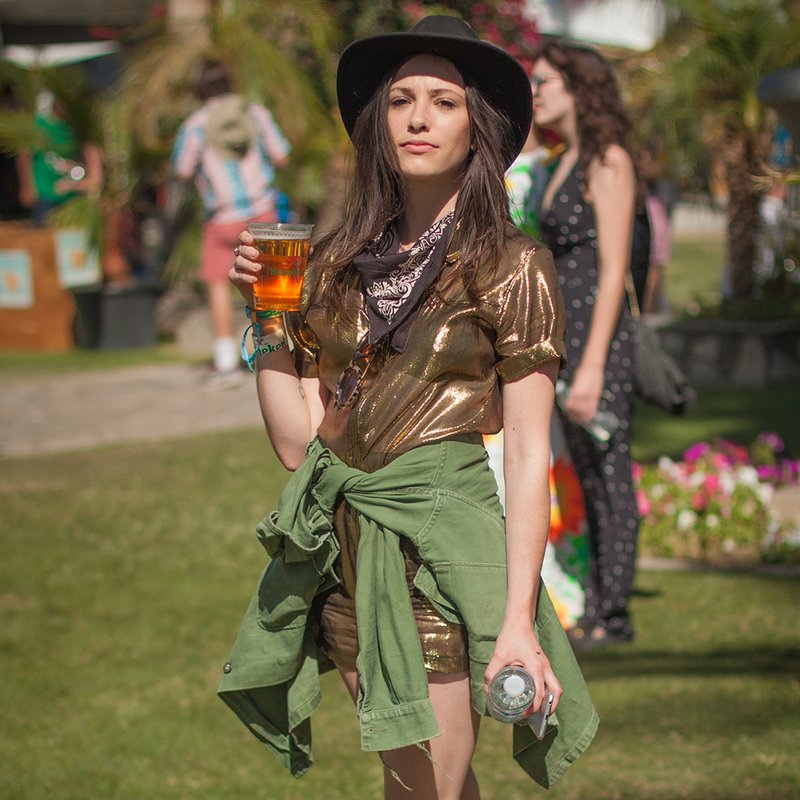 This year's festival go to - flowy rompers and geometric eyeware. Relaxing in the VIP section. Bandana choker, heart shaped glasses, and a growing wrist band/bracelet collection. Gold lame romper with bandana choker, military green jacket, and black booties. An instant desert classic. Golf visor, oxford shoes, straight white pants. Isis, goddess of nature and magic, centers this outfit including a septum piercing, bralette, and Egyptian style flash tats. 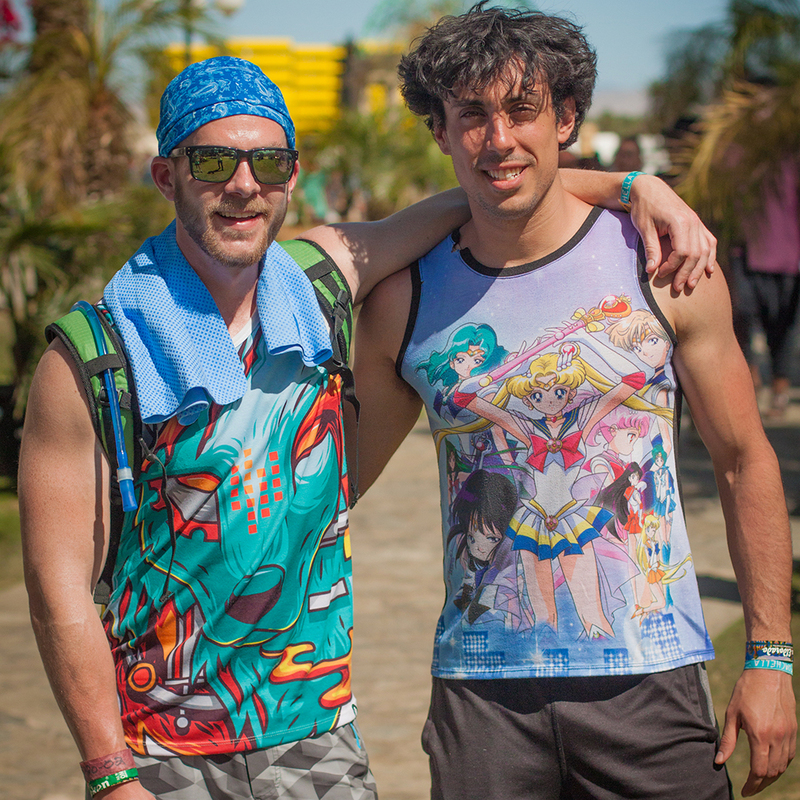 Come to Coachella for the art, stay for the fashion. (left) Crochet dress w/ belt; (second left) romper with head wrap; (second right) overalls; (right) bralette with lace pants; (back) “Tower of Twelve Stories” by Taiwanese/Canadian artist Jimenez Lai. Doc Brown and Marty McFly at the festival. Galaxy bike shorts, fanny pack, matching BTTF glasses, and hat. Winding down on the VIP lawn. 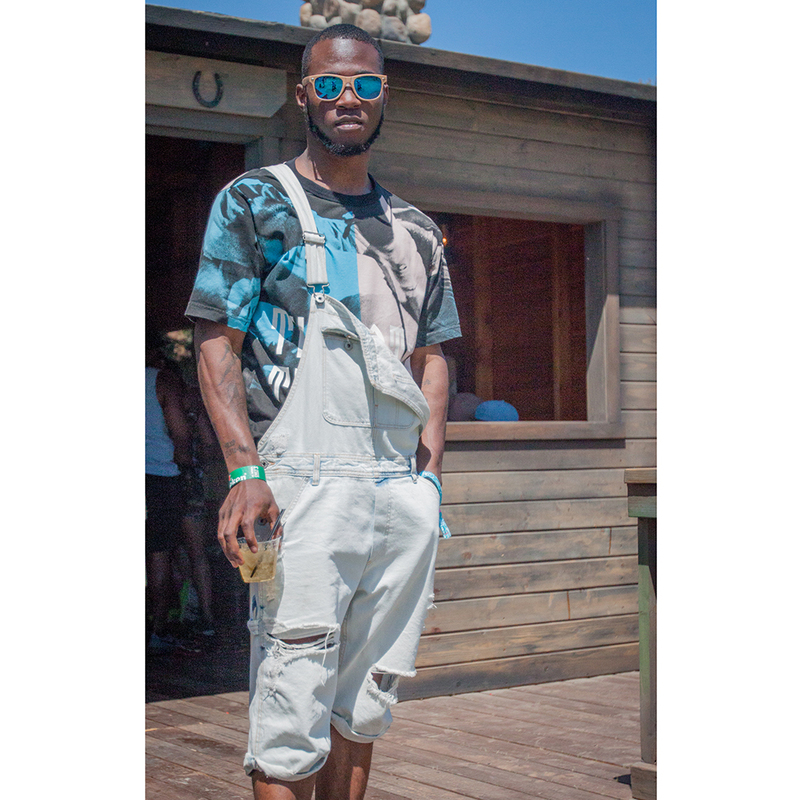 Overalls making a big statement this year. Fashion blogger Juliette M. in red bralette with fringe skirt dancing in the Rose Garden. 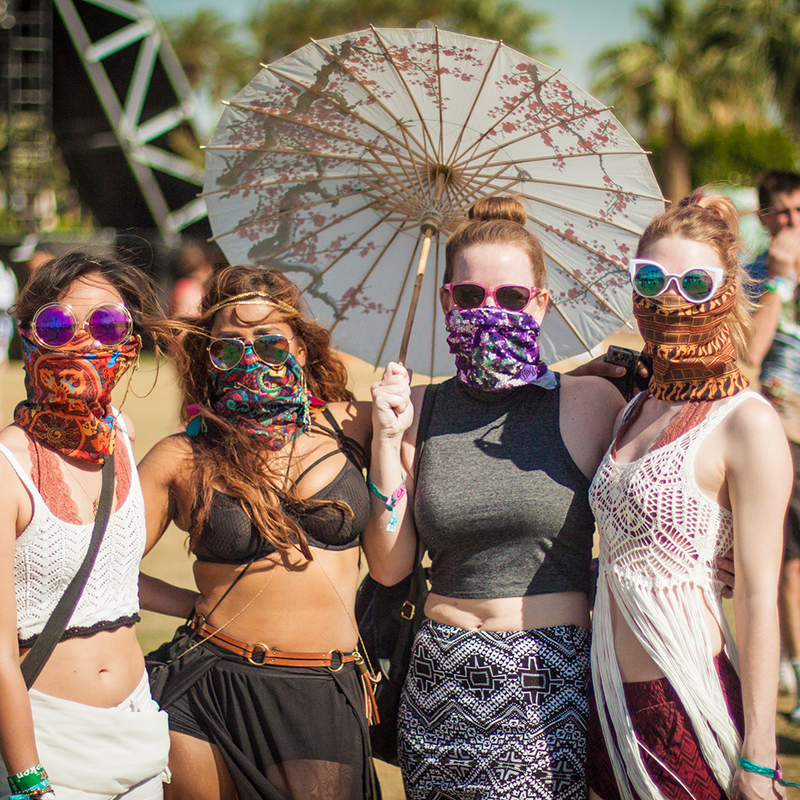 Fashionable desert raiders. Crochet crop tops, bralette, silk bandanas, headbands, and Quay inspired glasses. Graphic floral maxi dress. Bright and fun. Sailor Moon tank top. Because we are adults now and get to dress ourselves in the morning. 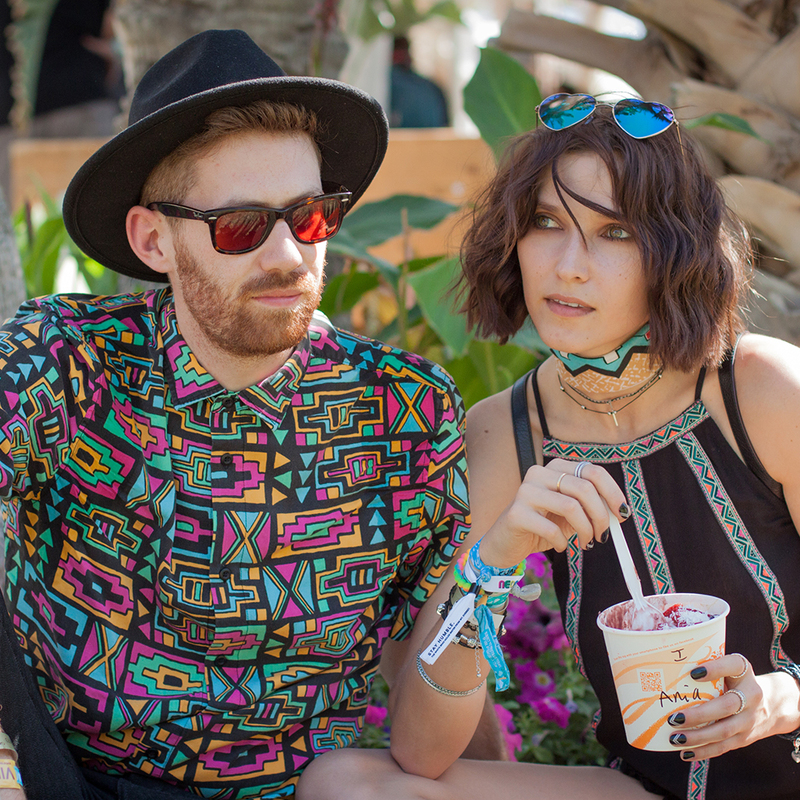 The men's Coachella go to. Camelback backpack; neck bandana; straw hat; tank top.